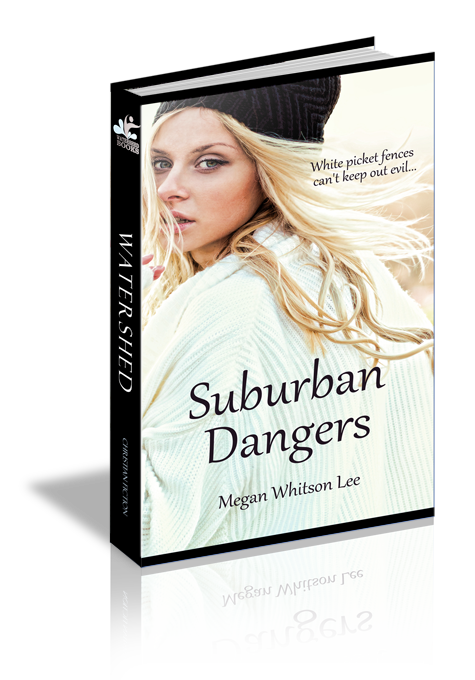 Sixteen-year-old Kaki Jones lives a normal life in suburbia. She’s a straight A student, runs on the cross country track team, and exemplifies the all-around great kid. Her younger brother Brandon is the one they all worry about. Parties, fights at school, photos of naked girls on his cell phone. Brandon is the one in trouble with the police. No one ever worries about Kaki. Suburban Dangers is the story of what happens when parents look the other way; when a stranger offers more affection than a father; when God’s deliverance is the only answer. Kaki was sixteen when she met Sydney Diaz. The school year had just started, and Sydney was new to Runnymede Secondary. With her long, straight, black hair that hung down to her waist and a lot of piercings, Sydney was one of those girls who stood out. She was in Kaki’s algebra and gym class, but right away Kaki could tell Sydney didn’t want to be in school. Her face was tight and hard, and she put her feet up on the desk until the teacher told her to take them off. In gym, Kaki was flattered when Sydney started talking to her. They stood out by the track, waiting their turn to run. Kaki stretched, pulling her ankles behind her. She liked running. She was thin and willowy with long legs that carried her along with speed and agility. “Granddaddy-Long-Legs” her father used to call her. She’d hated that. It made her feel as if her legs were too long, too thin. Weird-looking, somehow. Sydney looked as if she could be pretty fast, too, but she was just leaning up against the chain-link fence with a slack-faced and bored expression. Kaki could almost envision her with a cigarette in hand, blowing smoke into the autumn haze—if they’d been allowed to do that. “So like, what do people do around here?” Sydney stared off at the other runners circling the track. “Girls, you’re up!” At the sound of Coach Plant’s voice, they moved toward the starting line. Sydney pushed herself off the fence as though it took an enormous amount of effort and stood beside her at the line. “Go!” the coach called as he clicked his stopwatch. They began to jog. Sydney was much slower, and she kept motioning with her hand for Kaki to hang back. Finally, Kaki slowed her pace as much as she could. “You got a job?” she asked, already starting to pant a little, even though she was barely running. “No,” Kaki said. “I just turned sixteen.” She didn’t know anyone who had a job. Sydney looked over, and Kaki got the feeling Sydney was trying to read her—trying to see if she could trust her. “OK.” It didn’t really matter to her whether Sydney told her or not. If she was selling drugs or something, Kaki didn’t want to know anyway. At home that night while Kaki checked her social media sites, she was surprised to see that Sydney had followed her. @HotSydGirl was Sydney’s handle, but Kaki immediately recognized Sydney’s picture—a close-up shot of her posing for the camera with puckered lips. Later, Sydney’s picture and name popped up on another one of Kaki’s accounts. Sydney Diaz has just followed you. Kaki was excited. She’d figured Sydney would think she was a total loser after their conversation on the track. “Maybe I’m just one of the only people she knows at school,” she said out loud as she clicked to confirm. She scanned Sydney’s page for her statuses, pictures, and people she knew. Sydney had over 2,000 followers on one account and over a thousand on her other accounts. hey syd. where u been girl? heard you moved schools. Ill still c u this weekend rite? got some peeps for u to meet. There were a lot of posted selfies from guys and a few girls dressed up in short-short skirts, high-high heels, and tight-tight tops. Sydney definitely moved in different social circles. Pictures on Kaki’s page were of friends making faces in the camera, a few family photos, and a lot of shared dorky sayings: Only you can make it happen and Just because someone doesn’t like you doesn’t mean you’re not likeable. Kaki felt too intimated to even send Sydney a private message. And she resolved not to be clingy at school either. The quickest way to drive a cool girl away from you was to be too needy. But over the next few weeks, Sydney hung out with her as though they’d been friends forever. That was when she was in school. Sydney was absent a lot, and Kaki could tell she had a lot of boyfriends, both inside and outside of school.